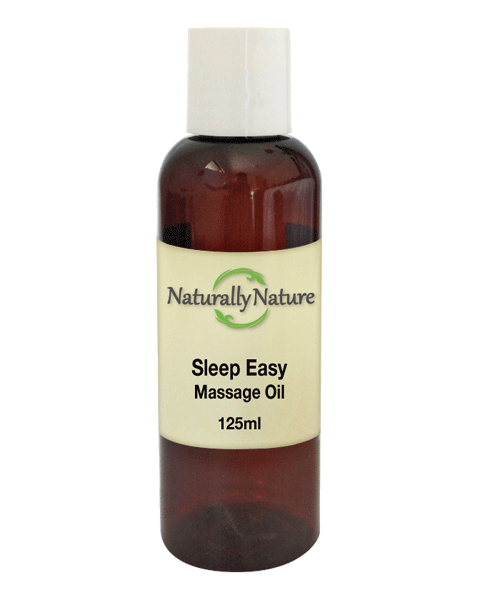 A relaxing and sedative blend of essential oils for the relief of sleeplessness. Macadamia nut oil (Macadamia integrifolia), Essential oils of Lavender (Lavendula officinalis), Sweet marjoram (Origanum marjorana), Palmarosa (Cymbopogon martini), Ylang ylang (Cananga odorata). Use just before sleep time, apply a generous amount to skin & massage into body.